This a different service than our advisory service for solar shoppers. It is for realtors, sellers, and potential buyers of homes with solar already. It is an expert evaluation of the system's present net value, how much electricity costs it will save over the years, and all other pertinent information about it. It's the equivalent of a home inspection, but for existing solar. The service includes a detailed phone consultation with a solar expert, answering questions and helping buyer, seller, or both figure out what is reasonable and how to save both of them the most money. Solar owner provides all available information & documents about the system. We analyze this information & research the system. Phone consultation with buyer, seller, or both after they've read the report. Significant contract provisions, especially realistic protections & "gotchas"
When a house with an existing solar system is being sold, the Sellers, the listing Realtor, and the Buyers' Realtor may all be taking on liabilities beyond those of a sale without solar. At present, because solar is still relatively new, few people are aware of these liabilities, and the standard realty forms for Disclosures and Purchase Agreements have not yet caught up, so offer little or no protection for solar issues. Just as with a home inspection, the Solar Evaluation Service may reduce exposure for both Realtors and Sellers by transferring responsibilities to the expert who performs the evaluation service. This is in addition to its other benefits for Realtors, Sellers, and Buyers. As I'm sure you know, Realtors presently attempt to prevent liability for house defects by providing Buyers with the Realtor's Visual Inspection Report, the Buyer's Inspection Advisory, the Statewide Buyer and Seller Advisory, a variety of disclosures and advisories about specific house issues (termites, carbon monoxide detectors, water heaters, smoke detectors, lead-based paint, etc. ), and disclaimers and disclosures in the Purchase Agreement. These include repeatedly advising Buyers to obtain professional inspections for various potential problems. In addition, Sellers attempt to relieve their liability for house problems via the Seller Property Questionnaire and various sections of the Purchase Agreement. However, at present, the only place we can find in any of these documents that even mentions an existing solar system seems to be the Purchase Agreement section listing items included in and excluded from the purchase price. However, this discloses nothing about the solar's brands, models, specs, value, condition, associated contracts, assumed leases, or anything else. This could open Realtors and Sellers up to liability. There are no acknowledgments or waivers by Buyer. Usually neither Realtors, Sellers, nor Buyers will know much about that solar. Therefore, any possible negatives about it cannot be disclosed to Buyers. When Buyers discover these negatives after the sale, they are likely to be angry. Buyers may then sue Realtors or Sellers for failing to disclose these negatives. Sellers might also sue listing Realtor for not recommending a solar inspection. Realtors may inadvertently say erroneous things about the solar in the course of getting the listing, setting price, marketing, showings, negotiations, or advising their client, possibly making them liable for making false statements or giving bad advice. All these liabilities might be reduced (check with your firm's attorney to be sure - I'm not an attorney and so cannot give legal advice) by having Buyers or Sellers get the Solar Evaluation Service, giving copies to both parties, and getting signatures acknowledging receipt, just as is done with a home inspection. Last year, approximately 5,000 homes with solar were sold in Los Angeles, Ventura, San Bernardino, Orange, and Riverside counties, and the number goes up every year. That suggests that the potential for lawsuits about solar issues are also likely to increase annually. Wouldn't it be worth $275 for a Solar Evaluation to lessen the chances of these complications? There are many other benefits to Realtors, Buyers, and Sellers from having an expert Solar Evaluation on an existing solar system. Getting the true facts and figures permits making informed choices and negotiating wisely about pricing, whether to assume or pay off existing financing agreements, and how much the system will save (or cost) Buyers year by year. We'd be happy to discuss any of these ideas further with you and answer your questions about the service, as well as to assist you in any sales you're involved in that include existing solar. We have deep expertise in residential solar, including all its economic aspects. Calculations and analyses based on proprietary algorithms and models created by a mathematician with long experience in finance. Consulting experience to the solar industry. 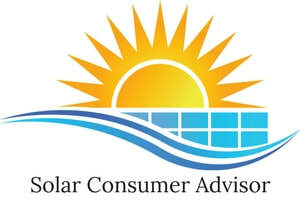 Advisory experience for solar buyers. Advocate on behalf of solar owners before the California Public Utilities Commission. Completely independent. Not affiliated with any solar or financial company. Note to Realtors: free talks and workshops on solar are available to do at your regular office meetings. Please call to schedule. Your contact information is never disclosed without your permission.